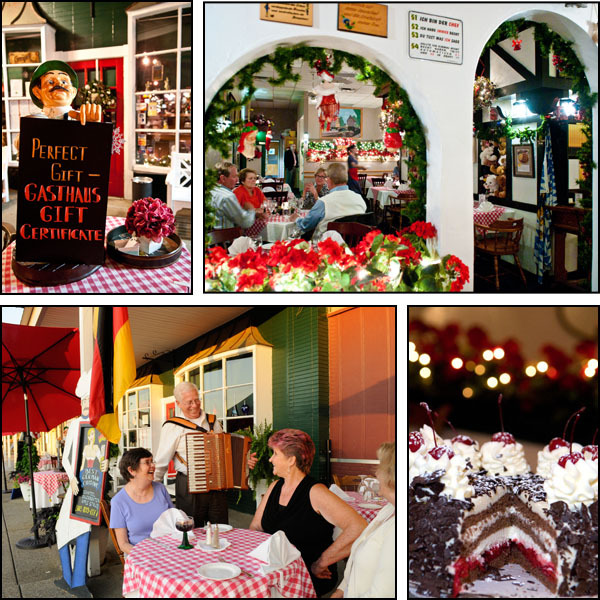 2010 November « GASTHAUS: got 'kraut? Glü​hwein season is kicking in high gear! The weather outside is frightful, but our Glü​hwein is so delightful! When the weather turns nasty it’s the best time to come and have a glass of our delicious Glü​hwein: a warm, red wine flavored with cinnamon, cloves and a touch of lemon. Glü​hwein is a specialty drink traditionally served at the Christmas markets in Germany. We would like to congratulate Robert and Kelly Greipel on the birth of their sons on November 27, 2010!!! 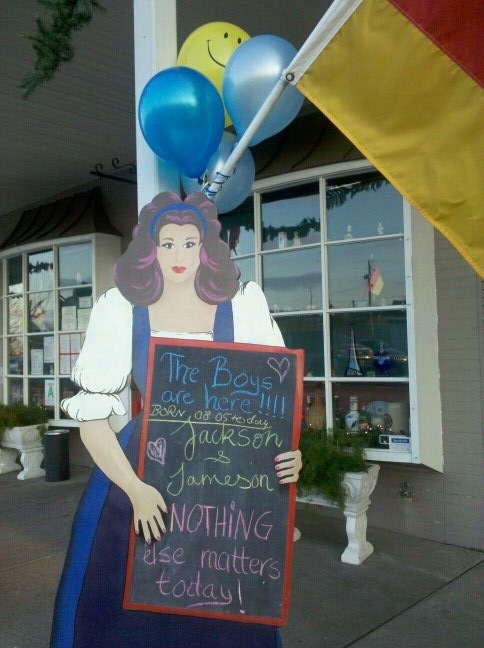 The boys, Jackson Lee and Jameson Andreas, are healthy, momma, daddy and big sis are well! We will be closed for the Thanksgiving holiday, Thursday, November 25, and again from December 24, 2010 – January 4, 2011. 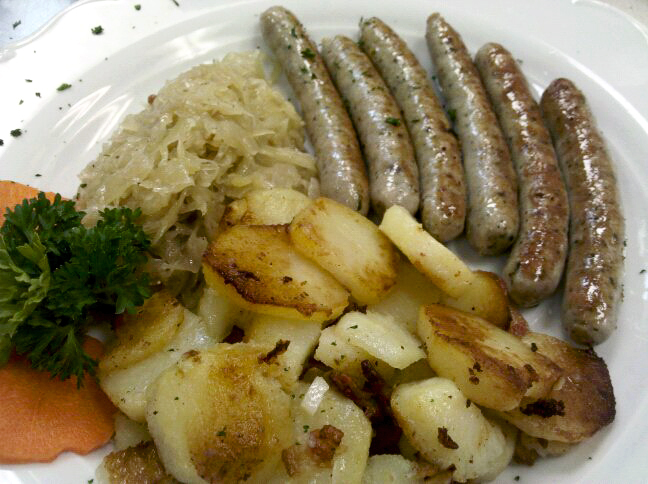 This week we will offer Nürnberger Bratwürste with Sauerkraut and pan-fried potatoes. They are delicious!!!! We also have Sauerkraut Soup: a brothy soup with Sauerkraut, potatoes and smoked pork (hey, did you know that Sauerkraut has a lot of Vitamin C ??! 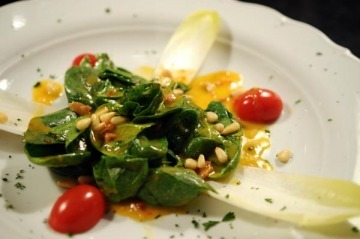 Wilted Spinach Salad is back! Yes, you read it right! We will have Hasenpfeffer only for this week and then not again until next fall. 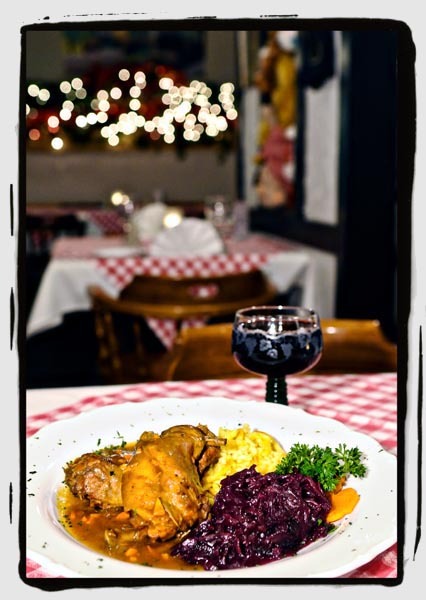 This dish, a traditional fall dish in Germany, has been immensely popular with our guest. The Gasthaus Salad is Harvest Salad: Salad Greens, Shaved Granny Smith Apples, Carrots, Raisins, and toasted Walnuts tossed in a Champagne Vinaigrette. Our new soup is Cream of Cauliflower with chicken and a hint of curry, deeeeelicious!